Thank you all for being a part of this amazing cause. Our final total raised came to $8,810 and made us #18!!! All donations of $20 or more receive a free tutorial and entry to win one of our awesome Door prizes*. Whether you attend or not. Please leave a comment below after donating and be entered into my bonus drawing (details below). 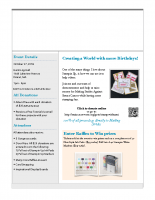 *This year’s door prizes are: Complete set of 54 Ink Pads ($273 value), Full Set of Stampin Write Markers ($110 value). We have a new T-shirt design this year, sorry I didn’t have this on the video. I love this new design, the cancer ribbon has rhinestones on it!! BLING!! I’ll post as soon as mine comes in. My friend Tamra Davis made these, and she is donating 10% of each t-shirt sale to our Making Strides team. If you’d like one, you can purchase them in her etsy store here. All donations of $20+ are invited to attend our stamping event in Dracut, MA. We know many of you aren’t local and you don’t need to attend for the free pdf, and door prize entry. If you happen to be in the area, we’d love for you to join us. Door Prize: All $20 donations are entered to win the following: complete set of 50 New Style Ink Pads ($375 value), Full Set of 40 Stampin Write Markers ($123 value). Thanks for doing this. As a 15 year cancer survivor I appreciate your effort. Sixteen years ago this month, I was diagnosed with breast cancer. I wasn’t surprised. I knew it would get me eventually. After all my mother had it and my grandmother had it. Very unfortunately since that October day in 2002, my mother lost her battle and three of my cousins (all from the maternal side of my family) were diagnosed with breast cancer. Tami, I am very touched that you are doing this and thank you from the bottom of my heart. So thankful you are doing this. We all know so many women affected. For me, it’s my sister, grandmother, and too many friends. Enjoy the gathering time for such a good cause! Tami, this is such an amazing fundraiser you are sponsoring. My sister is 6 years post breast cancer. Every day I am thankful for her recovery and appreciate all that is being done to stamp out breast cancer. I did try to purchase T-shirts however the site I was taken to did not have the style you showed with the bling ??!! Thanks again for being a great strength for this cause. Thank you for doing this important fundraiser. If I can get away I would love to come down and celebrate how hard we are kicking breast cancer right in the ba77s! As a two time breast cancer survivor, the last time 21 years ago, I cannot emphasize how important this is! Early detection is key! Thank you for doing this. You will never know how many hearts you will touch, how many lives you will save. I hope that they can put an end to cancer soon so that no one else has to be affected. My mother and grandmother both had breast cancer and I anticipate I’ll get it too. Thank you for bringing light to this horrible disease. Thank you for doing this fundraiser. I have a dear friend who is a breast cancer survivor and know of all that she had to endure to get through it and even now still going through things in her life. I wish I lived in your area so that I could attend your event. Again, thank you for all of your inspiration. Just made a donation. My father and grandmother both had breast cancer. Appreciate your help towards this cause. Just made a donation… my daughter is a survivor of cervical cancer and my mother-in-law is a breast cancer survivor. Hope you exceed your goal! I was just diagnosed last year (2017) after a mammogram. Thankfully they caught it early and a mastectomy with reconstruction was all that was needed (no chemo or radiation). I am delighted to donate and have ordered a shirt as well. Gladly donated! Wish it could’ve been more but taking care of two households right now; leaves me stretched. Usually even attend local walks every year as well; not able to do that this year either taking care of my dad around the clock at the moment. Will continue to pray for a cure for all illnesses though and have faith. You are such a caring and thoutful person. Thank you. My mother had a double mastectomy, then passed away. Thank you so much for doing this. I now have Stage 4 Breast to bone cancer and am very confident that I will live much longer than expected. God is my best friend and he has much more planned for me. I Just purchased a T-shirt and donated to this worthy cause. Thank you for doing this your a very special person. I bought a t-shirt and donated $20. I try to donate to this important cause every year! Years ago I had a scare as I found 2 lumps in my breast, I am one of the lucky ones as they turned out to be fatty tissue, but I had to have them monitored and tested every 6 months for 3 years and now just once a year. It was scary, and still to this day I am scared. I am grateful that I am okay but I have cancer on both sides of my family so I am very grateful for people such as yourself for holding fund raisers. THANK YOU!!! Your doing a great thing for a wonderful cause. Cannot wait for the event. It is such a fun afternoon and for such a great cause. Thanks, Tami, for your fundraising campaign. I was diagnosed with breast cancer in March of 2016. So far, so good. I appreciate your efforts to stamp out cancer! Tami I made donation. My Mother was a Breast Cancer Survivir. Tami I made donation. My Mother was a Breast Cancer Survivor. Thanks fo making a difference in the efforts to combat breast cancer! Thanks for organizing this! I was excited to see that my company will match my donation!! I was excited to see that my company will match my donation!! Thank you Tami for doing this. My mother died with breast cancer and I know how hard it is to see your loved one suffering. You have an amazing heart and a beautiful soul. Thank you for the opportunity to partner with your team. Thank You Tami for working so hard for a cure! God bless you Tami and praying it will be the success you have hoped for and many will be helped with this!